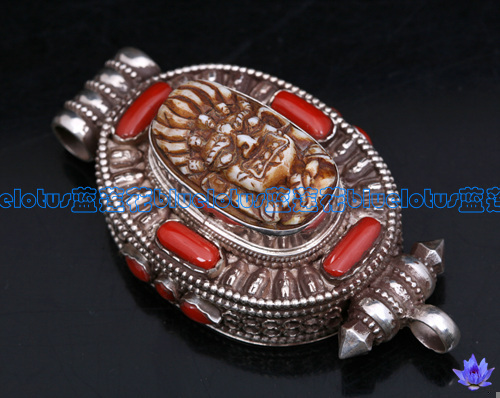 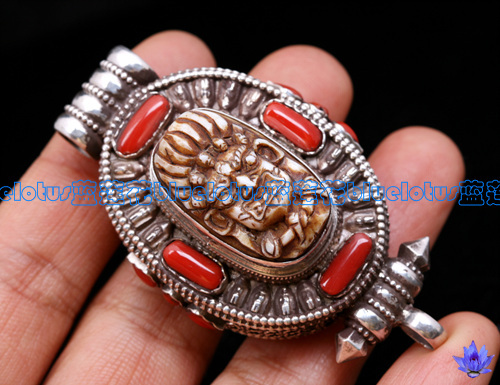 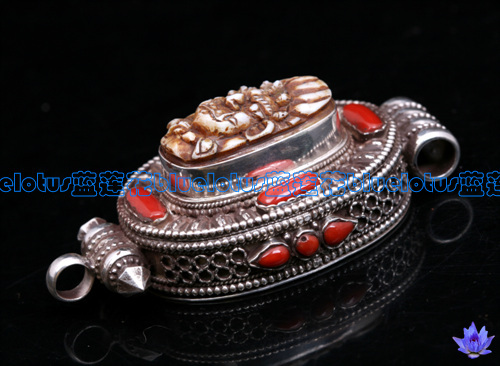 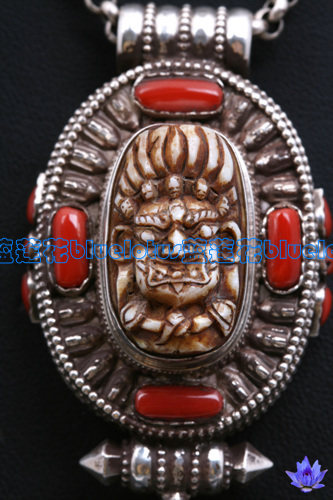 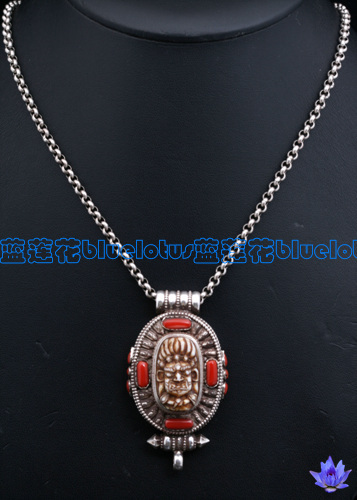 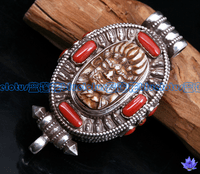 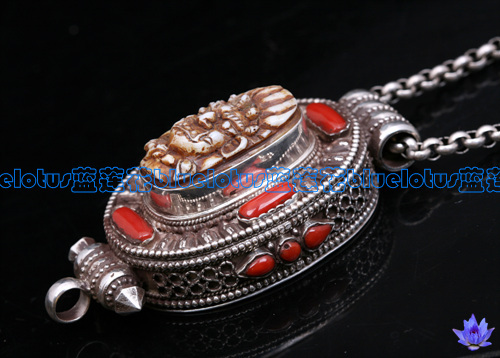 Handmade Tibetan Sterling SilverRed Coral Buddha Gau Box Pendant. 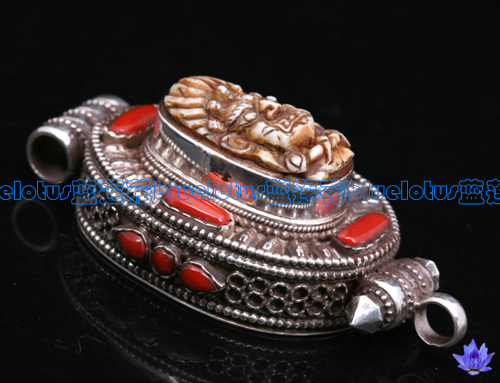 This buddha gau box pendant was handmade in Tibet from sterling silver, red coral and old tridacna. 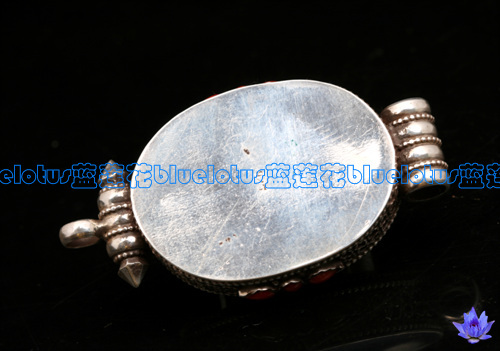 Size: 63*35*23mm. 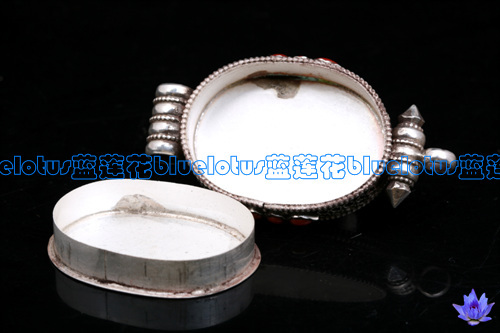 Box inner size: 40*28*8mm Weight: 45.8g.